When you mention Cancun, people tend to think of beaches, beaches and more beaches. But there’s more to experience in Cancun than just fun, sun and tropical drinks with tiny umbrellas. There’s shopping. And, given that shopping in Cancun is duty-free, savvy shoppers can walk away with some serious bargains if they know where to look. 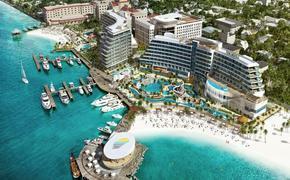 And in the middle of it all are Playa Hotels & Resorts properties to launch your search. So plentiful are the options that no matter if you’re on the hunt for luxury and designer goods or traditional Mexican handicrafts, you’re sure to come home with the best gifts for your family and friends, not to mention a few treats for yourself. La Isla Shopping Village, Cancun. Built on the Nichupte Lagoon, this shopping center is criss-crossed with a series of canals and small bridges, making a shopping excursion here vaguely reminiscent of shopping in Venice. With more than 150 stores on site, including such recognizable name brands as Tommy Hilfiger, Guess, Sunglass Island, Zara and Nine West, there’s much from which to choose. And when you’re all shopped out, a visit to the Interactive Aquarium is the perfect activity. This hands-on aquarium educates visitors about local marine life through such activities as shark feedings, touch tanks and the chance to swim with the dolphins. Kukulcan Plaza & Luxury Avenue. 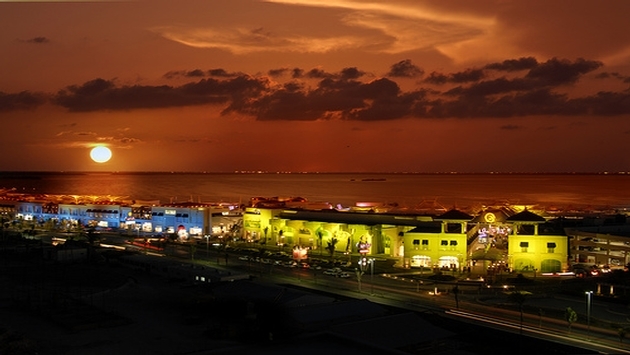 With more than 250 shops and boutiques, Kukulcan Plaza is one of Cancun’s most upscale shopping malls. Among the world-famous brands on offer are Louis Vuitton, Chanel, Cartier, Rolex and Longchamp. Conveniently located in the Hotel Zone close to numerous 5-star hotels, this shopping center is the place to go for high-end goods. There’s even a bowling alley on-site if window-shopping is more your speed. Plaza Las Americas. Located at the end of Tulum Plaza, this mall features several large department stores as anchors and two movie theaters, showing films in both English and Spanish. There’s also a nice food court with such familiar names as Burger King, McDonald’s and Subway. It’s a great place to while away a rainy afternoon, and for people who are staying in condos, the grocery store there is the perfect place to stock up on necessities at reasonable prices. Mercado 23. If you are looking for an authentic Mexican shopping experience head to Mercado 23. You might not pick up a lot of souvenirs, but it’s a great place to peruse shops selling home goods, fresh produce, cheese, Mexican candy and toys. Enjoy a snack made with freshly made tortillas before heading back. Market 28. Located in the heart of downtown Cancun, this is one of the largest flea markets in the city and a fun place to go in search of silver jewelry, handicrafts and souvenirs for your friends and family. Go with cash in hand and be prepared to haggle. Next door is the colorful Plaza Bonita, another shopping plaza selling locally made art and crafts that was built to resemble a Mexican village complete with wrought-iron balconies.